SINGAPORE: When President Trump and North Korean leader Kim Jong Un meet in Vietnam on February 27-28 for a second round of nuclear talks, the world spotlight will shine on a country that has come a long way from the Vietnam War. The communist-led Southeast Asian nation is now a booming economy and an increasingly assertive regional diplomatic player. It is also one of the few nations to enjoy friendly relations with both Washington and Pyongyang. Unlike his late father, Kim Jong Il, who was afraid of flying and used an armoured train on his rare foreign trips, the young North Korean leader appears comfortable in the air. Some experts have doubts about the safety and reliability of the ageing Soviet-made planes that make up his reclusive nation’s passenger fleet. Rather than risk an embarrassing mid-air malfunction, Kim flew to Singapore aboard an Air China jet loaned by Beijing. Another possible venue is the coastal city of Da Nang, which has hosted major summits and where warships could be positioned to offer added security, experts said. The US and Vietnam share a bloody history, but the relationship has moved far beyond the 20-year war that ended in 1975 and claimed the lives of 58,000 US soldiers and an estimated three million Vietnamese troops and civilians. Since President Clinton normalised relations with Vietnam in 1995, the countries have developed close economic and military ties, centred in part on shared concerns over China’s trade practices and its advances in the South China Sea. Bilateral trade jumped from $451 million in 1995 to nearly $52 billion in 2016. The Pentagon conducts an annual high-level dialogue with Vietnamese counterparts, and last year Vietnam participated for the first time in the US-led “Rim of the Pacific,” the world’s largest international maritime exercise. 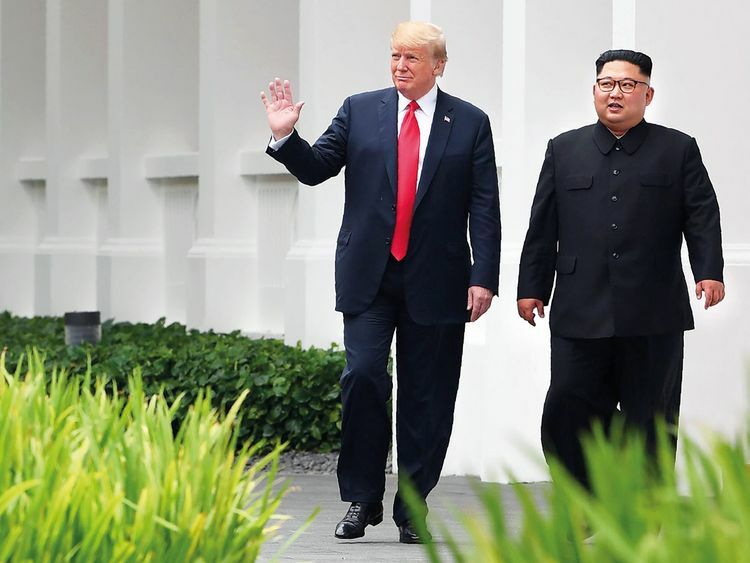 “There are not many other places that North Korea trusts and the US also trusts,” said Joshua Kurlantzick, a senior fellow for Southeast Asia at the Council on Foreign Relations. A decade after the “American War” ended, as the Vietnam War is known there, the Southeast Asian nation was internationally isolated and starving, a Stalinist experiment in collectivisation having left farmers starving and store shelves barren. In 1986, Hanoi’s leadership began the Doi Moi programme of liberalisation that reopened the country to the world and produced one of the most stunning economic turnarounds in recent times. Vietnam’s economy is expanding by 6 per cent to 7 per cent a year, with bustling small businesses, thriving manufacturing zones and a glittering skyline in Ho Chi Minh City, the former Saigon. From bitter enemies to trusted partners, the trajectory of the US-Vietnam relationship could excite a young North Korean leader who is said to be enamoured of Western culture (particularly NBA basketball).